· defining, maintaining and providing access to processes and records to support established objectives. The Executive Director of Procurement is responsible for establishing, maintaining, and ensuring compliance with purchasing policies and procedures. The Executive Director of Procurement may delegate purchasing authority to decentralized areas with the approval of the Senior Vice President of Finance and Administration. Those areas with delegated purchasing authority are subject to policy compliance verification by the Executive Director of Procurement. Any local purchasing policies differing from the RIT Procurement Services Policy must be approved by the Executive Director of Procurement. All Procurement Services Department personnel and other department personnel involved in procurement are responsible for understanding and complying with these policies and procedures. Any situation requiring exception to or variation from these policies and procedures should be brought to the attention of the Executive Director of Procurement. The Executive Director of Procurement will recommend to the next higher level of authority exception to or variation from these policies and procedures for final approval. The appropriate reason for the exception and the approval of the Executive Director of Procurement must be documented and available for verification. The Procurement Services manual describes the policies and procedures for processing all transactions having a bearing on cost and delivery of goods, supplies, equipment and services. The Procurement Services Office (PSO) ensures that all supplies, materials, equipment and services required to conduct official University business are procured at the lowest possible cost. Cost is defined as the optimum combination of price, quality, availability and service. PSO will implement cost control programs and offer operational support in areas such as accounts payable, inventory control, physical distribution and surplus asset disposal. PSO operates in accordance with all accepted purchasing practices while promoting and developing the highest level of professionalism. PSO should be involved as early as possible in planning and sourcing strategies in order to optimize savings potential for the University. Communication between the requisitioning department (Requisitioner) and Procurement Services (Purchasing Agent) is a mutual responsibility. All information, including notes, reports and correspondence communicated between suppliers and requisitioners, pertaining to negotiations or purchase decisions, should be maintained as part of the Oracle Purchase Order. To facilitate the electrionic filing function, Procurement Services has publihed a Tip Sheet on Oracle Attachments. Requisitioners are encouraged to consult with the Purchasing Agent concerning materials, specifications or other general information. The Purchasing Agent will arrange supplier conferences and obtain product information and other pertinent item and supplier data when requested. Requisitioners are also encouraged to notify the Purchasing Agent in the case of poor service or inferior product supplied by a supplier. The Purchasing Agent will act accordingly to correct such situations. RIT complies with all laws governing its operation and conducts its affairs in keeping with the highest moral, legal and ethical standards. Compliance with the law (including anti-bribery, anti-trust and other applicable regulatory law) means not only following the law but also conducting RIT business such that RIT will deserve and receive recognition in all areas of good citizenship. Even where the law does not apply, applicable standards of ethics and morality relate to our activities and require the same diligence and attention to good conduct and citizenship. · Give first consideration to the objectives and policies of my institution. · Strive to obtain the maximum value for each dollar spent. · Decline personal gifts or gratuities. · Grant all competitive suppliers equal consideration as state or federal statute and institutional policy permit. · Conduct business with potential and current suppliers in an atmosphere of good faith, devoid of intentional misrepresentation. · Demand honesty in sales representation whether offered through a verbal or written statement, an advertisement, or a sample of the product. · Receive consent of originator of proprietary ideas and designs before using them for competitive purchasing purposes. · Make every reasonable effort to negotiate an equitable and mutually agreeable settlement of any controversy with a supplier, and/or be willing to submit any major controversies to arbitration or other third-party review, insofar as the established policies of my institution permit. · Accord a prompt and courteous reception as conditions permit to all who call on legitimate business missions. · Cooperate with trade, industrial and professional associations, and with governmental and private agencies, to promote and develop sound business methods. · Foster fair, ethical and legal trade practices. · Counsel and cooperate with NAEB members and promote a spirit of unity and a keen interest in professional growth among them. Decisions about University business and the use or disposition of RIT property are to be made solely in terms of the benefits to RIT and are not to be influenced by any private profit or other benefit to the RIT people who take part in such decisions. All members of the University community have an obligation to avoid any conflicts of interest or even the appearance of a conflict of interest. Potential conflicts of interest or their appearance are to be reported immediately and uniformly (as described in subject number 2.01). Each situation will be reviewed on a case-by-case basis and action will be taken as necessary to ensure that any University transaction is completed in the best interest of RIT. Failure to report or to act in concert with the spirit of this policy could result in disciplinary action up to and including termination. any organization in which s/he or a Relative is a director, trustee, officer, member, partner, or more than 10% shareholder. Service on the board of any other organization, including not-for-profit corporations, constitutes a potential conflict of interest. Relative. A Relative of an individual includes his or her spouse or domestic partner, ancestors, brothers and sisters, children, grandchildren, great-grandchildren, and spouses or domestic partners of brothers, sisters, children, grandchildren and great-grandchildren. any entity in which any individual previously described in this subsection has a ten percent (10%) or greater ownership or beneficial interest or, in the case of a partnership or professional corporation, a direct or indirect ownership interest in excess of five percent (5%). Related Party Transaction. A Related Party Transaction includes any transaction, agreement or any other arrangement in which a Related Party has a financial interest and in which RIT or any Affiliate of RIT is a participant. Affiliate. An Affiliate of RIT includes any entity controlled by, in control of, or under common control with RIT. Key Employee. A Key Employee includes any person who is in a position to exercise substantial influence over the affairs of RIT, as well as those employees listed as key employees in RIT’s Information Tax Return (Form 990). Implementation of the Conflict of Interest Policy. RIT considers its suppliers valuable assets and their good will is highly valued. Complete representation of products and technological expertise are important in keeping staff abreast of the latest technology and market trends. Procurement Services will assist suppliers with introductions to user departments who may have a need for products and in situations requiring personal calls. Sales calls to University departments should be by appointment only. 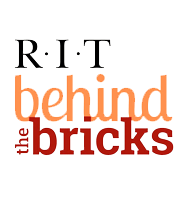 Door-to-door solicitation and random calls are discouraged anywhere on the RIT premises. Use of RIT resources (bulletin boards, telecommunications systems and interdepartmental mail) to solicit individuals or departments is strictly prohibited except where contracted exemptions exist. Suppliers are required to comply with all rules and regulations set forth by RIT while on the premises and to comply with posted access restrictions. · Advise Procurement Services before contacting suppliers. Procurement Services maintains a database of active and potential resources for a variety University needs. · Contact more than one supplier whenever possible. Competition is Procurement Services' most valuable asset. · Give the same information to all suppliers, so that each has an equal opportunity to compete. · DO NOT COMMIT THE UNIVERSITY BY TELLING A SALESPERSON THAT HE OR SHE HAS THE ORDER. ONLY A SIGNED PURCHASE ORDER CAN COMMIT THE UNIVERSITY. · Never accept gifts from suppliers. · Guard against overreaction to a supplier-created crisis: "Price goes up after the first of the month"; "This is the last one in stock"; are common examples. · Don't wait until the last minute to submit your requisition. The more time both Procurement Services and the supplier have to process the purchase, the better the outcome. · Orders, as the result of unsolicited phone calls, faxes and e-mails should not be placed. Often such items have been found to be overpriced and of poor quality. The acceptance of gifts and gratuities by RIT employees, from any suppliers in any form whatsoever, is prohibited. Solicitation of gifts of any kind or the acceptance of gifts in the form of cash, gift certificates of any amount or the acceptance of entertainment is absolutely prohibited. Door prizes or raffle prizes of significant value (i.e, in excess of $50.00) obtained at the expense of the University are the property of the University. Note: this policy should not be confused with University development or fund-raising efforts. No gifts, beyond those of an advertising nature and insignificant value, generally distributed to all potential customers, may be accepted by an RIT employee. Door prizes or raffle prizes of more than $50.00 should be turned over to the University for use in University sponsored raffles where the winner of the prize is randomly selected. Further, any "free gifts" obtained through the purchase of goods are the property of the University. As an example, "buy 10 cartons of paper and get a free CD player." The CD player is the property of the University. Note: this type of selling should be discouraged unless a direct benefit to the University can be substantiated. Any acceptance of gifts and gratuities as described in this section from suppliers may result in disciplinary action up to and including termination. Any acceptance of business travel as described in this section from suppliers may result in disciplinary action up to and including termination. The acceptance of meals, in the context of "conducting business" should be discouraged. At no time shall an employee accept a meal with a supplier who does not have a long-standing relationship with the University. In general, business meals should be discouraged. If the only time an employee can meet with a supplier is at a meal time, then the employee should pay for his/her own meal. From time to time it is acceptable for a long-standing, established supplier to offer food as a form of 'thank you" for continued business. In this case, a plate of cookies, doughnuts, bagels, pizza, or subs is acceptable. The food should be placed in an accessible area such as a break room for everyone to enjoy. In this case, the supplier should limit the offer of food to once per year. At no time is it acceptable to ask a prospective supplier to bring in a meal or food. Any acceptance of business meals as described in this section from suppliers may result in disciplinary action up to and including termination. In conducting University business, it may be necessary to travel out of town to a supplier's place of business. If an employee receives an offer to visit an out of town supplier, the University will pay for any expenses incurred such as airline tickets, lodging, and meals. If an employee believes it is in the best interest of RIT to travel to a supplier's out of town site, the employee should submit a pre-approval request to their supervisor. If approved, RIT will pay for any expenses incurred. If in the course of the business meeting or plant tour, a meal is provided, then the employee may accept the meal as part of the day's planned events. Trade shows are common business practice and are helpful in evaluating supplier products. Attendance is allowed and encouraged to gain product knowledge. RIT employees are encouraged to attend trade shows to become more knowledgeable in certain industries and with certain products. In the course of attending a trade show, many suppliers will secure "business suites" and offer food. Supplier hospitality during the advertised hours of a trade show is allowed. RIT employees should turn down any offers of entertainment or meals outside of the trade show hours. RIT employees may attend RIT events as a guest of a sponsor. From time to time, RIT holds events wherein they ask the community for support and sponsorship. Such events may be fundraisers, alumni outings or celebration dinners, to name a few. RIT employees may, with the approval of their supervisor, attend as a guest of a sponsor. RIT employees may attend training sessions to gain knowledge of products used on the RIT campus. As with trade shows, training sessions are valuable tools to help our employees gain product knowledge to do their jobs better. These training sessions, normally held on the RIT campus, are permitted when new products need to be introduced or when new procedures need to be conveyed to the employees. Training sessions held during the lunch hour may also include food such as subs or a pizza. The University, as a general rule, will not purchase any supplies or equipment for the personal use of University faculty, students, or staff. Gifts of money or goods to RIT must be reported by the individual or department receiving the donation to the Development Office. Department head should always notify the Development Office when receiving a donation. The Development Office will supply a Record of Gifts/Pledges form which must be filled out. The form is then returned to the Development Office accompanied with a letter from the donor stating the nature and value of the gift and an appraisal form, invoice or packing slip if available. If the gift is over $5,000.00 in value, the Development Office notifies the Property Control Office for inventory control purposes. The department may decide to keep the donation or place it on the Property Control surplus inventory listing for availability to other University Departments. Purchase Requisitions are used for the procurement of all supplies, equipment and services not available through delegated University Departments such as The HUB, Food Service, or Facilities Management Services. Procurement Services requires the use of electronic online requisitioning rather than paper requisitioning. Information on procedures for placing requisitions, and related reference material, will be provided by the Procurement Services staff. It is necessary for all departments to utilize the Oracle Purchase Requisition System. To do so, some form of access to the RIT Internet system and the Oracle Applications Software is needed. Access may be accomplished through the use of a personal computer. Recommended computer hardware requirements can be located at: https://www.rit.edu/its/its-supported-and-recommended-hardware. Recommended software requirements are located at: https://www.rit.edu/its/services/its_support_and_purchasing_guidelines/software.html. The connection may be accomplished through a direct hookup to the RIT ethernet network. Access to the Purchasing Requisition System is delegated to each individual user and not to a department or division. If a user leaves the University or transfers to another department, his or her access is deleted. Budget authorities should inform Procurement Services whenever a user of the on-line system is transferred or terminated. The Oracle Financial Applications Access Request Form must be submitted to Procurement Services. The Oracle userid to be assigned will, in most cases, be the same as the user's RIT account userid. The departmental approver for this form must be a person with direct authority over the user. When all paperwork has been processed, an orientation and instruction session will be arranged. Detailed instructions on the preparation and usage of Oracle Requisitions are made available through periodic instructor-lead workshops. The training manuals for the workshops are available on the Procurement Services Web page at: http://finweb.rit.edu/Purchasing. Approval authority is delegated in accordance with University Policy: http://www.rit.edu/fa/svp/content/signatory-authority. The Accounting Operations team ensures Certification of Delegated Authority records are certified for each organizational unit as a whole on an annual basis. When a new employee is hired or a change to a delegation is needed, a Certificate of New Delegated Authority form is completed and routed to the Manager of Accounting Operations. The Procurement Services Office is notified and updates the Oracle Purchasing module approval hierarchy accordingly. Purchase requisitions are initiated in the Oracle system and electronically routed for approval through the hierarchy. Approved requisitions must include appropriate distribution accounts based on RIT accounting practices and protocol which can be found at: http://www.rit.edu/fa/controller/sites/rit.edu.fa.controller/files/files/docs/manual/03.pdf. Capital equipment is defined as an article of non-expendable, personal property having an acquisition cost of $5,000 or more and a useful life of more than one (1) year. Capital equipment should be assigned to asset object code 16200. Equipment with a value of under $5,000 should be assigned to expense object code 840XX. Goods and services available through the RIT First initiative such as The Hub, Dining Services, Digital Den, the Wallace Center or the Inn & Conference Center do not require competitive bids. If bids are solicited, the RIT campus resource must be included in the bid process (Ref: Special Procurement Polices 5.03, 5.13, 5.14). · Less than $5,000 ($3,000 for Federal Grants Ref: Special Procurement Polices 5.10): If a single purchase with a single supplier is less than $5,000, an approved requisition may be submitted to RIT Procurement Services without a competitive bid. Note: Purchases should not be split to avoid this bid threshold. The Purchasing Agent will take the necessary steps to ensure the reasonableness of the price. · Greater than $5,000: Three (3) competitive quotations are required. (Note: >$250,000 requires Conflict of interest review Ref: Conflict of Interest 2.04). Procurement Services can assist with documentation to facilitate requests for quotations, bid evaluation and award. When a department requires bid solicitation, Procurement Services should be notified early to assist in developing specifications, potential sources and the method for bid comparison. Record retention requires that all bids (winning and losing) be retained for 1 year if the total value exceeds $100k). · Specifications must be clear and describe the technical requirements for the material, product or service. The description should include the range of acceptable characteristics or minimum acceptable standards and not contain features which unduly restrict competition. Grants/State or Federal Funds must comply with OMB-A110 requirements (Ref: Special Procurement Polices 5.10). This method is used when specifications are clear and multiple qualified suppliers are available. Suppliers are asked to provide price and delivery information based on a clear specification of goods or services required. The request need not be made formally as long as the suppliers are able to clearly specify the goods or services quoted to verify that all are equal. This method is used when specifications are not clear or are complex in nature. Procurement Services has established a standard format for this type of request which is available on the PSO website: http://finweb.rit.edu/fa/procurement/content/forms. The Purchasing Agent will help develop the RFP and/or identify qualified suppliers when needed as well as assist in evaluation of proposals once received. This is an informal request and is not binding on either the requester or the supplier. This is used when general information about products, services or supplier capabilities is needed..
· New York State OGS Contracts: Exception is at the Purchasing Agent’s discretion. RIT can often purchase items at better than state contract prices. · Group Purchasing Organizations GPOs: Exception is at the Purchasing Agent’s discretion. RIT has access to several GPOs. · RIT Contract Items: Procurement Services has bid or negotiated contracts based on RIT's total requirements for many commodities and services which preclude bidding for individual requirements. Examples are office supplies and equipment, janitorial supplies, pest control services, etc. · Sole Source Purchases: Goods or services that are uniquely available from a single source must be fully justified including the RIT requirements and effort to locate other qualified sources using the Exception to Bidding form available on the Procurement Services web site at https://www.rit.edu/fa/procurement/content/forms. To initiate a transaction, a purchase requisition must be created in the Oracle system and forwarded to the appropriate approver. Once approved, the completed requisition is automatically transmitted to Procurement Services for further processing. Blanket orders are issued for leases, rentals or maintenance of equipment or for goods or services offered routinely. Contracts are restricted to a specified period of time, preferably concurrent with the fiscal year. The Purchasing Agent in Procurement Services responsible for buying the equipment usually handles requests for maintenance of the item. Contracts must be renewed or cancelled prior to the end of the contract period. All Blankets must be re-authorized by the using department at the end of the term of the blanket contract by the issuance of a new Purchase Requisition. Procurement Services will solicit bids on all blanket orders over $5,000 unless a letter of justification from the department is received as to why it should not be bid. Systems contracts are set-up for direct order by department, delivery next-day for most items, a general ledger file feed by the vendor and payment monthly by RIT. A systems contract is in effect with a designated vendor for office supplies. Departments may order directly from the vendor via fax or on-line ordering. To order on-line, complete an Online Access Request Form found on the Procurement Services web page at /fa/procurement/sites/rit.edu.fa.procurement/files/forms/RIT%20Staples%20Advantage%20Access%20Request%20Form.pdf . All orders are placed using the RIT Procurement Card. Items will be delivered directly to the end user by the vendor. Proprietary items such as pre-printed RIT envelopes, petty cash vouchers, shipping memos, etc., will be ordered through the HUB using a HUB order form. Same as office supplies, including delivery to requestor's location. RIT business cards can be ordered through the HUB. Contact the HUB for ordering procedures. RIT Letterhead and stationery can be ordered through the HUB. Contact the HUB for ordering procedures. RIT envelopes can be ordered through the HUB. Contact the HUB for ordering procedures. Contracts are in effect with designated vendors for scientific supplies. Departments can order directly from the vendors by fax, phone, or the vendors' on-line access systems. Contact Procurement Services for more information on how to order using specific on-line access systems. A systems contract is in effect with a designated vendor for maintenance and janitorial supplies. Departments can order directly from the vendor using the vendor's order form. Order forms are available from Facilities Management Services. A systems contract is in effect with a designated vendor for electrical supplies and lamps. Departments can order directly from the vendor using the vendor's order form. The department can either fax, call-in or mail the order to the vendor. Order forms are available from Facilities Management Services. · Contracts with Educational and Institutional Cooperative Services, Inc.
· Contracts issued by the State of New York for a variety of goods and services. Equipment that is furnished to the University by outside agencies on a rental or lease basis, whether for a definite or indefinite period, should be covered by a formal purchase order. The proposed supplier lease or rental agreements should be forwarded to Procurement Services when the purchase requisition is created in the Oracle system. Any leasing agreements over $5,000 will be evaluated by the Budget Office to provide an analysis and recommendation on purchase alternatives, such as an internal lease within RIT's financial system. A cancellation or change order is issued by Procurement Services when an existing purchase order needs to be modified to correctly reflect the purchase transaction. The cancellation or change of order is only valid when the ordering department, Procurement Services and the vendor all agree to the modification of the original purchase order and new terms or charges that may result. If a signed contract is involved, cancellation or changes are subject to terms of the original contract. Changes must be initiated by the department using a standard requisition with specific instructions to add or replace existing lines. Cancellations require a written request to the PSO with appropriate detail for audit purposes. Petty cash forms can be ordered from The Hub. Petty cash vouchers are limited to $50.00 for individuals and $200.00 for student organizations and are used to reimburse students for small, miscellaneous out-of-pocket expenses incurred for University purposes. All reimbursements for larger amounts are processed with the Invoice Payment Form. While the following list is not all inclusive, the examples represent a majority of the reasons for using a Petty Cash Voucher. Petty Cash Vouchers are transacted through the Cashier's office first floor of the University Services building. An Invoice Payment Form (instead of a purchase order) can be used for purchase of goods valued at less than $5,000 only if the supplier does not accept payment by credit card and the following list of services with standard contracts where applicable. 1. Specify, whenever possible and reasonable, the use of sustainable, environmentally friendly systems, equipment and materials. 2. Ensure that all supplies, materials, equipment and services are procured at the lowest possible cost. 3. Comply with all relevant procurement and environmental regulations. 4. Investigate resource conservation, reuse and recycling options and encourage adoption by all members of the University community. 5. Promote and maintain activities that encourage exchanges, swaps and resale of surplus products and supplies. 6. Commit to purchasing Energy Star certified appliances and products. 7. Promote business with suppliers that consistently demonstrate sustainable and socially conscious business practices. 8. Work within the University and in the broader community in which we reside to share experiences and encourage the adoption of sustainable practices. 9. Develop and implement the use of assessment tools designed to evaluate the effectiveness of this policy and make changes where necessary. All foreign purchases are imported through RIT-authorized customs brokers, who, for a nominal fee, are empowered to clear all packages through customs for forwarding to the University. Procurement Services should be given advance notice of the need to import goods, so that the broker can be consulted and provide specific instructions for foreign purchases. The RIT Print & Postal HUB should be given first consideration for the printing needs of the University. Competitive bidding is not required on print jobs that are filled through the HUB. If the end user chooses to bid, the HUB must be one of the three bids. Justification such as pricing or delivery factors must be provided when the HUB is not awarded the order. Business Cards and Letterhead: In order to conform to the RIT identity policy, all RIT business cards and letterhead must be printed at the HUB. · Budget requests for vehicles should be made by the user department as part of the normal annual request for capital equipment. · Operating costs (fuel and maintenance) will be budgeted by the user department in the same manner as any other expense item. · If approved, the funds for acquisition and any incremental operating expenses will be included in the user department's budget. · Requests for quotations are the responsibility of Procurement Services. · Fuel will be provided by Facilities Management Services on a direct charge (use) basis. Charges will be made monthly to the user department's account. · Maintenance will be the responsibility of the user. Facilities Management Services, to the extent of its technical competence and time available, will provide maintenance at the user's request. Charges for this service will be made directly to the user department's account. Facilities Management Services will assist users in locating reliable non-University servicing, if necessary. · The Parking and Transportation Manager is responsible for registration and licensing detail. · The Property and Risk Manager will advise University vehicle users on insurance, and liability issues. · Most University vehicles will carry external identification, in the form of the University logo and name, in a contrasting color on each front door. · All purchase requests for incremental vehicles that would increase the size of the RIT fleet will be counter-signed by the Senior Vice President for Finance and Administration and vice president of the using division. · Purchase requests for replacement vehicles require only the signature of the using department head. In conducting University operations, chemicals are used that require specific precautions. To protect the health of our employees, students, contractors and visitors, it shall be the policy of Rochester Institute of Technology that our employees will be informed of any chemical hazards associated with their job functions. Departments must adopt and implement procedures for purchasing, receiving, storing and handling of potentially hazardous chemicals required for health and safety, congruent with applicable federal, state and/or local requirements including provisions for chemical hazard evaluation, container labeling, collection of material safety data sheets and employee training. The basic disclosure document required by the Chemical Hazard Communication Standard, and upon which all other requirements of the standard are based, is the Material Safety Data Sheet. The MSDS provides a uniform outline of each hazardous chemical and special precautions and controls necessary for the chemical's use. Because of the variety of chemical substances utilized in our operations, we maintain MSDS's at both the department level and in a master file at Public Safety maintained by the environmental health specialist. An inventory list as well as the MSDS of the hazardous chemicals found in each department will be maintained in the department by the designated department safety coordinator or other individual designated by the dean, director or department head. Copies of the department inventory lists are to be sent to the Environmental Health Specialist annually, upon request. The information on the MSDS will be used to determine if a chemical is considered hazardous. Therefore, it is important to obtain either an MSDS for every chemical, or written notification from the chemical manufacturer or supplier that its product is not considered hazardous under OSHA 1910.1200. No MSDS will be prepared by RIT. We will rely on the chemical supplier for the accuracy of the MSDS. · MSDSs are required as a condition of all purchases and for an initial shipment to be received from a manufacturer, importer or distributor. Therefore, each supplier or manufacturer will be required to provide an MSDS on each chemical. This statement will be added to purchase orders, where appropriate. Material Data Safety Sheets are required for purchases of chemically based products (in accordance with 29CFR1910.1200, the Hazard Communication Standard). · The Department purchasing agent or satellite buyer will make written attempts to secure the MSDSs not received from suppliers following initial verbal requests. The Environmental Health Specialist will be contacted in writing if a second request to a supplier goes unanswered. Copies of all correspondence will be kept in the departmental MSDS file. All equipment, commodities, or goods purchased by the University for use by its employees must be manufactured and delivered in full compliance with the requirements of the Occupational Safety and Health Act of 1970. · “Supplier” shall encompass all of Supplier’s personnel, agents, and subcontractors. · Supplier must make best efforts to keep all travel costs to a minimum regardless of what expenses are considered allowable under this policy. · Supplier travel is charged to the same account number as the service performed. · When submitting invoices, travel expenses must be shown on a separate line. · RIT, or its authorized representative may, upon written notice to Supplier, review and audit such records and documentation as may be reasonability necessary for RIT to determine the accuracy of Supplier’s invoiced charges. Such audit shall be conducted during Supplier’s normal business hours at a time mutually acceptable to both parties. RIT will notify Supplier of outcome of audit and of any overcharge RIT believes it has discovered. Supplier agrees then to credit RIT accordingly for such overcharge. If the audit reveals an overcharge of 5% or more, Supplier will reimburse RIT for the actual cost of the audit. This clause will survive the termination of services provided by Supplier to RIT for a period of no less than six (6) years. · Supplier shall make best efforts to book air travel as far in advance as possible to obtain best available rates. · Supplier shall only book travel via economy class. Charges for business and/or first class travel will not be allowed. · Any fees assessed by the airline due to Supplier flight changes not caused by RIT shall be at Supplier’s sole cost and not allowable. · Only one (1) checked bag per person shall be allowable. All additional bags and/or any bags over the airline’s baggage weight limit shall be at Supplier’s cost and not allowable. · Automobile travel will be allowable at the current RIT business mileage reimbursement rate. · Supplier shall abide by all current rules and regulations of RIT’s Office of Parking and Transportation while on the RIT campus. · See below for information regarding rental vehicles. Lodging - All Supplier lodging shall be at the RIT Inn and Conference Center. If rooms are not available at the RIT Inn and Conference Center the Supplier will receive reimbursement for alternative lodging equal to the “friends and family rate” offered by the RIT Inn and Conference Center or actual costs, whichever is lower. · Rental cars must be economy or compact size only, unless approved in advance by RIT. · Any and all expenses incurred due to mechanical failure or accidents, are not allowable, nor are fines for parking and/or traffic violations, including those incurred on the RIT campus. Cancellations and Refunds - Supplier shall be responsible for obtaining a refund of an advance payment if there is a cancellation. · Charges incurred as a result of changes in travel itinerary made for the purposes of personal convenience, including the accumulation of frequent flier miles. It is RIT policy to select and purchase from suppliers who offer the greatest total value for the products and services to be purchased. Within this general policy, it is RIT's objective to employ innovative techniques to find and develop minority suppliers and small businesses capable of providing goods and services required by the University. RIT's objective is to increase its business with minority business enterprises (MBEs) via affirmative action to promote procurement of goods and services from minority suppliers. Procurement Services is charged with the development and administration of such a program. · Seek out purchasing opportunities for minority vendors at the University. · Identify and assist minority vendors to qualify them to do business with the University. · Serve as a resource bank for information concerning minority vendors. A minority business enterprise is a legal entity engaged in business transactions. The business must be 51% owned and controlled by a minority person, deaf or hard of hearing person, or must be a non-profit organization fostering physically and/or mentally disabled individuals. Minority persons are members of socially and economically disadvantaged minority groups including Black Americans, Hispanic Americans, American Indians, Alaskans, Asians, Pacific Americans, and Women; and the physically or mentally handicapped and the deaf and hard of hearing. Disposition of RIT’s surplus property is the responsibility of the Procurement Services Office through the administration of the Surplus Property procedure. The surplus policy and procedures can be found on the Procurement Services website at http://finweb.rit.edu/purchasing/surplus. The RIT Surplus Property Program is designed to provide a cost effective, timely and efficient process to reallocate resources within RIT, and for disposing of unneeded goods at the highest practical rate of return to departments and RIT. The property disposition procedure applies to all Institute departments. Provide an effective means for transferring idle equipment from one department to another within the University. Promote optimum use of existing equipment within RIT. Minimize the cost of replacing equipment or of obtaining additional equipment for individual departments and RIT. Provide for the sale or other disposition of equipment no longer of value to the University. Surplus Property – items no longer needed by the department that made the initial purchase are considered surplus property. The first option for items that are deemed Surplus Property will always be re-circulation within or among other departments of RIT free of charge. If no other department has requested the surplus property, it will be offered for sale to RIT faculty/staff and students. Payment may be made by cash or personal check. If the property is not sold to off-campus individuals and agencies, it will be either donated or disposed of at the discretion and direction of the Procurement Services Office. Unauthorized removal or disposal of University owned, loaned or donated property, regardless of value, constitutes a violation of University policy. The Procurement Services Office shall be immediately notified when a department has surplus equipment. The item description, condition, location and RIT inventory control tag number shall be conveyed with this notification. Procurement Services will notify the Fixed Assets Analyst of the relocation/disposal of any capital asset. Furniture that will no longer be needed should be declared surplus upon placing a purchase order for new furniture so that unnecessary movement and storage of such items can be avoided. Surplus equipment will remain in the department until sold. Temporary storage of items during a renovation project may be arranged by contacting Physical Plant Shipping and Receiving. Items that remain in the warehouse area 60 days beyond the completion of such project may be declared surplus property and disposed of in accordance with this policy. Fair value for the equipment will be determined between Procurement Services and the department presently responsible for the equipment. Moneys received from the sale of such equipment will go directly to the disposing department. Once the surplus equipment has been removed from the selling department’s area, Procurement Services will receive 100% of the proceeds. From time to time the Procurement Services department may hold “surplus sale days” when the warehouse in building 99 will be open for the viewing and sale of surplus equipment. Definition of Electronic Waste: All monitors, televisions, cathode ray tubes (CRT’s), Computer Processing Units (CPU’s) and keyboards are considered hazardous waste material due to the content of lead, silver, cadmium and other heavy metals used in their manufacture. They cannot be disposed of in the regular trash and must be managed in accordance with New York State Department of Environmental Conservation (NYSDEC) Rules and Regulations (6 NYCRR 371.1). RIT has chosen to dismantle and recycle electronic waste for scrap metal recovery in an environmentally conscientious manner. Other electronic equipment may need to be disposed of as hazardous material or recycled if you know or suspect it contains heavy metal or other hazardous materials. If there is any question, the manufacturer of the piece of equipment or pruduct should be contacted and asked if there are any concerns with hazardous materials such as heavy metals (i.e. – mercury, lead, silver). Usable electronic computer equipment that is in working order, with the processor working and/or monitor working, can be handled as surplus equipment. If this option is chosen, care should be taken to assure that sensitive information is removed permanently from the computer hardware. If electronic waste is found in the regular trash stream, the Environmental Health and Safety Office of Public Safety will be notified and the Dean/Division Head of that area will be informed. If you have any questions, please contact the RIT Environmental Health Specialist – Public Safety, or visit the New York State Department of Environmental Conservation web site at www.dec.state.ny.us for more detailed information. Special regulations may apply to disposal of equipment acquired with Federal funds (e.g. grants and contracts). Contact Sponsored Programs Financial Management Services for specific sponsor regulations that may apply to a grant or contract. The Office of Management and Budget (OMB) has issued the Uniform Guidance (2 CFR 200) effective 12/26/14 which governs federal awards. The Uniform Guidance provides a waiver for non-federal entities to delay implementation of the procurement standards (§200.317 - §200.326) as outlined in the Federal Register dated September 10, 2015 (previously COFAR FAQ 200.100-6). RIT will delay implementation of the Uniform Guidance procurement standards until July 1, 2017 as provided by this waiver. RIT will continue to comply with the procurement standards as outlined in OMB Circular A-110. Recipients of federal funds must follow RIT's own procurement policies and procedures as outlined in this manual in addition to all federal guidelines. University funds may not be used for purchases >$5,000 from on-line auction houses without the express, advance written permission of the Executive Director of Procurement. The Executive Director will require documentation to validate the market-value ceiling for bidding purposes, steps taken to validate the integrity of the seller and anticipated method of payment. Additional documentation to verify receipt of the goods, condition at time of receipt and appropriate accounting may also be required. The supplier must obtain approval and sign a license agreement with the University. The RIT HUB must be given first consideration for the promotional needs of the University. Competitive bidding is not required on orders filled through the RIT HUB. If the end user seeks competitive bids, the RIT HUB must be one of at least three competitive bidders. Justification such as pricing or delivery factors must be provided when the RIT HUB is not awarded the order. Brick City Catering, a division of RIT Dining Services, must be given first consideration for the catering needs of the University. Competitive bidding is not required on orders filled through Brick City Catering. If the end user seeks competitive bids Brick City Catering must be one of three competitive bidders. Departments may only use outside (third party) caterers who are licensed by Monroe County and who can provide a certificate of general liability insurance (minimal coverage of one million dollars) with RIT named as additional insured. If the sale of alcohol is involved, the caterer must also evidence a vaild NYS liquor license and appropriate liquor libility coverage. Justification such as pricing or delivery factors must be provided when Brick City Catering is not awarded the order. The RIT Inn and Conference Center (the Inn) must be given first consideration for lodging and conference requirements. Remember to advise the Inn that you are entitled to the RIT rate, when making reservations. Competitive bidding is not required when requirements are filled through the Inn. If the end user seeks competitive bids, RIT INN must be one of three competitive bidders. Justification such as availability and/or pricing must be provided when the Inn is not awarded the order. Notice of damages or shortages identified by the Shipping and Receiving Department are directed to Procurement Services immediately. For shipments initiated with the RIT Procurement Card, the requestor will be contacted. When damages or shortages are evident, the Shipping and Receiving Department makes the proper notations on the carrier's waybill and, when necessary, enters the damage claim with the carrier to compensate the University. The Shipping and Receiving Department will make best efforts to refuse delivery of obviously damaged goods. This refusal places the responsibility of generating damage claims on the supplier, and not RIT. In the case of hidden damage or shortages undetected by the Shipping and Receiving Department, the using department should contact the Shipping and Receiving Department promptly (one working day) if corrective action needs to be taken. Failure to keep the packing materials will most likely void any chance of obtaining a claim. The ultimate authority for receiving and inspecting of goods is left to the using department. When the Shipping and Receiving Department signs for goods received, it should be understood that the department is merely verifying the number of packages received against the purchase order. Time does not allow delivery personnel to wait while packages are inspected. The using department must be responsible for promptly unpacking and carefully inspecting shipments. Any discrepancies or shortages should be reported to the Shipping and Receiving Department within one working day, referring to the purchase order number and the supplier. Procurement Services will work with the supplier and the Shipping and Receiving Department to protect the University's interest and to complete the transaction. · Verify amounts. Note all shortages on shipping documents and have driver sign. · Examine each carton for obvious damage. Keep all damaged cartons. · Open every carton to check for hidden damage within one week of receipt of material. · Stop uncrating and retain all merchandise in exactly the same condition it was received. · Notify Shipping and Receiving immediately by phone. · Do not use any of the merchandise or destroy packing material. Supplies or equipment obtained with an RIT Purchase Order to be returned to a supplier for credit, adjustment or replacement should be cleared through Procurement Services. For transactions made with the RIT Visa Procurement Card, the requestor should deal directly with the supplier and Procurement Services need not be contacted. Credit memos received which cannot be identified with returns will receive disposition at the discretion of the Controller's Office. Procurement Card credits will be made directly to requestor's Visa account. Departments are urged to keep all such requests to the absolute minimum. · Notify Procurement Services. Procurement Services will contact the supplier for a return merchandise authorization (RMA). Procurement Services will work with the end user to coordinate the return and replacement of the items in question. For credit card purchases, the supplier should be contacted directly. · Prepare a shipping memo and notify the Shipping and Receiving Department to return the goods and memo to the receiving dock. · The Shipping and Receiving Department will take the necessary steps to forward the goods according to the instructions on the shipping memo. When necessary, the Shipping and Receiving Department can arrange for special packaging; however, it is recommended that the responsibility for proper packaging remain with the department. The Shipping and Receiving Department is not authorized to receive COD deliveries. The department will not handle cash or checks for this purpose. When a COD shipment comes to the dock, it must be turned away. With few exceptions all purchased goods should be delivered to the receiving dock at Building 99. · Materials that are delivered by the supplier directly to the requestor, by-passing the receiving dock. · Materials picked up by the using department from a local supplier. · Shipments that have been delivered to the requestor by the Shipping and Receiving Department that are actually covered by an RIT Purchase Order, but that order number was undetected at the time of receipt. All packing lists and bills of lading should be forwarded to the Shipping and Receiving department, to be filed as a permanent proof of delivery. The final step in the Purchasing Cycle is the matching of the vendor's invoice to the purchase order. The process is different for Goods and Services. When purchasing goods, the Purchasing Cycle constitutes a three-way match between the purchase ordered quantity, the received quantity, and the invoiced quantity. There is also a purchase price tolerance when the invoice amount does not equal the purchase order amount. All invoices received relating to a purchase order must be sent to accounts payable for payment. The invoice is entered in Oracle Accounts Payable and matched to the purchase order. If the three-way match agrees, the invoice will be approved and will be paid according to payment terms. If the three-way match does not agree, the invoice will go on hold. Oracle will notify the requesting department of the holds placed on the invoice. The requesting department is responsible for notifying the Receiving Department that the product or service was received and/or Procurement Services for making any corrections to the purchase order including additional line items or additional funds. When the holds are able to pass the matching conditions, the invoice will be approved and paid according to payment terms. When purchasing services, Oracle does not require a receipt. Invoices are routed through workflow to the Requester for review and release. Upon release, Oracle will match based on purchase order and invoice value. If the amount is within the tolerance (generally 10%), the invoice will be released for payment according to the terms on the purchase order. Procurement Services receives notification if the match is not within the tolerance and will contact the supplier and/or department to resolve the Hold. A credit memo is a document issued to show a reduction in the amount owed by RIT because goods were returned, were defective, or there was an error in invoicing. All credit memos received relating to a purchase order must be sent to accounts payable to be matched against the purchase order. The credit memo is entered in Oracle Accounts Payable to offset the original invoice.